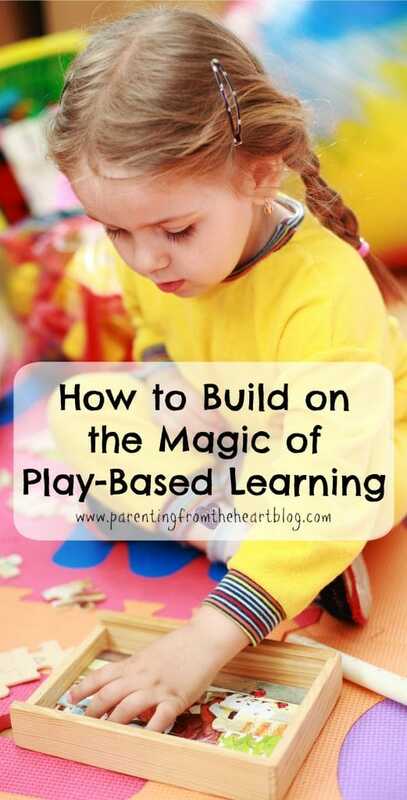 The Magic of Play-Based Learning: What Builds and What Breaks? One of the biggest issues for children today is that there is an overall absence of free-play. Life is so competitive, so busy. We naturally want our child to have all of the advantages he or she deserves. And so, we sign them up for all sorts of activities; we emphasize academics; and, we orchestrate play-dates in their free time. While all of these facets of childhood have their place, child-led play is invaluable. 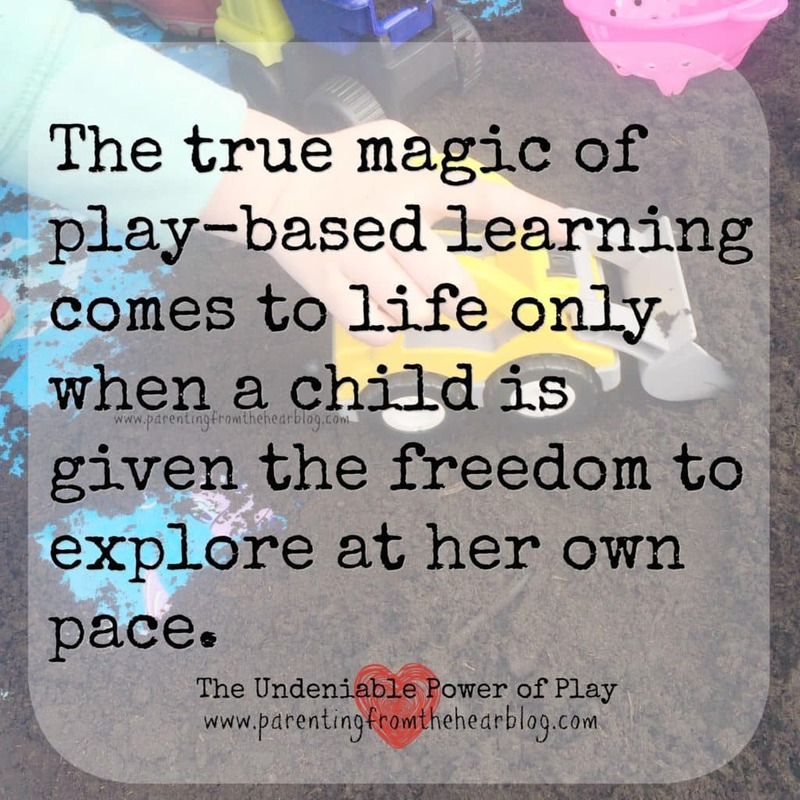 It really is where the magic of play-based learning happens. So much so that the World Health Organization identified play as a right that should be guaranteed to all children. Through play, children learn naturally. Playing restaurant, a child will show the earliest signs of literacy by pretending to read a menu or jotting down an order by writing squiggles on a page. Children demonstrate early signs of numeracy when one of them pays the bill, problem-solving and social skills when they decide who will be the cook, the patron, and the server. In play their language becomes more robust, their skills are sharper. It’s foundational to their learning about every aspect of life. And while the richness and magic of play are inherent, there is so much that you can do to bring it to life. Because children’s play is inherently rich, don’t feel you need to scaffold their learning at every chance you get. That said, play can be a wonderful way to build on your child’s knowledge, skill sets, and general ways of thinking. The question is, how do you teach while still making play PLAY? Meaning, it should be centred on the child’s interests, build on their strengths, and not be orchestrated by you. To illustrate this, I’ll use footprint crafts as an example. A non-play-based, not child-directed activity would be a footprint craft that has required colours and looks like a minion or a zoo animal. An adult has had to do the bulk of the creating to get a desired effect. While these are cute keepsakes, they’re certainly not about a child exploring at his own pace. They also really aren’t about the benefits to the child either. Contrastingly, a play-based learning example could be setting out a roll of butcher paper and allowing your child to dip his feet in paint and walk along the paper. Or, you could fasten some bubble wrap to her feet with or without paint and have her walk. For the magic of play-based learning to truly exist, play must be child-directed. If your child is already playing, there are some wonderfully simple ways to build on their play. Come alongside them and take their lead. This could be as simple as waiting for them to delegate a roll for you in play like the sister while playing dollhouse or the patient while playing doctor. Invitations to play: What Builds and What Breaks? One of the most wonderful ways to promote play-based learning is through invitations to play. 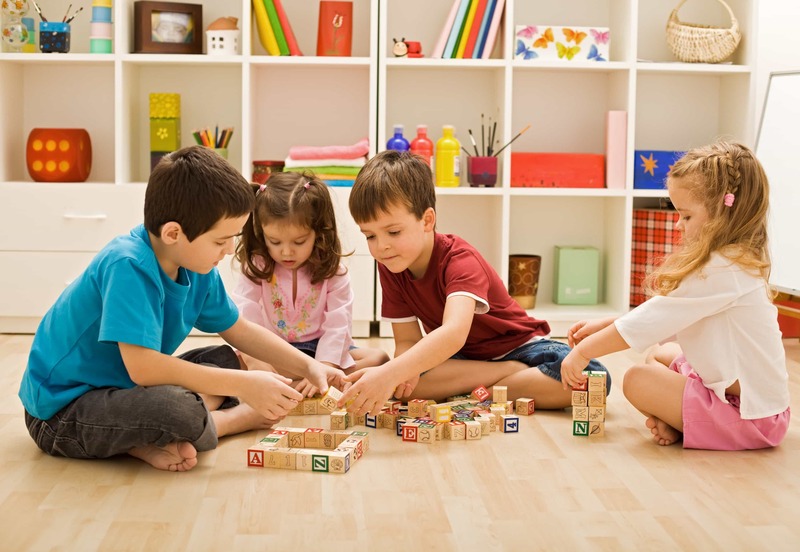 In essence, they are activities set up for your kids to interact with. The problem with the internet is that it is laden with activities that require a lot of prep, an expensive visit to a craft store, and aren’t easy to execute. I love Pinterest, don’t get me wrong. While it is an invaluable tool to find all sorts of amazing ideas, it also has a lot of difficult activities masked as child-friendly. With little hands wanting to get in on the action and a tremendous amount of precision required, everyone ends up frustrated. Even if you haven’t had the experience of a Pinterest fail, most of us have experienced young kids wanting to help in the kitchen. When it isn’t a basic or tried and true recipe, the extra “help” is no fun. So WHAT makes for good kid activities and what doesn’t? Now even if an activity possesses all of these characteristics, sometimes it’s still difficult for us parents or caregivers to take a step back and not control. At the very least, I need to remind myself to back off and be okay with excess glue or misplaced googly eyes. Because again, the magic of play-based learning only really comes to life when kids are given the freedom to explore and discover at their own pace. Love this! Free play is so important. And nothing ruffles my feathers like when my child comes home from preschool with a craft that the teache created herself – I would rather his messy imperfection any day. Going to try these tactics today. My boys keep talking about killing a monster in the basement. How can I encourage this rich imaginative play while minimizing the violent undertones? I love watching my kids enjoy free play! It is so fun to see what they come up with, and you are so right.. simple is best.